Key speakers included reps from the London Short Film Festival, The London Film Festival, Encounters Film Festival, The British Council, SXSW, Vimeo, Short Of The Week, Distrify, VODO. 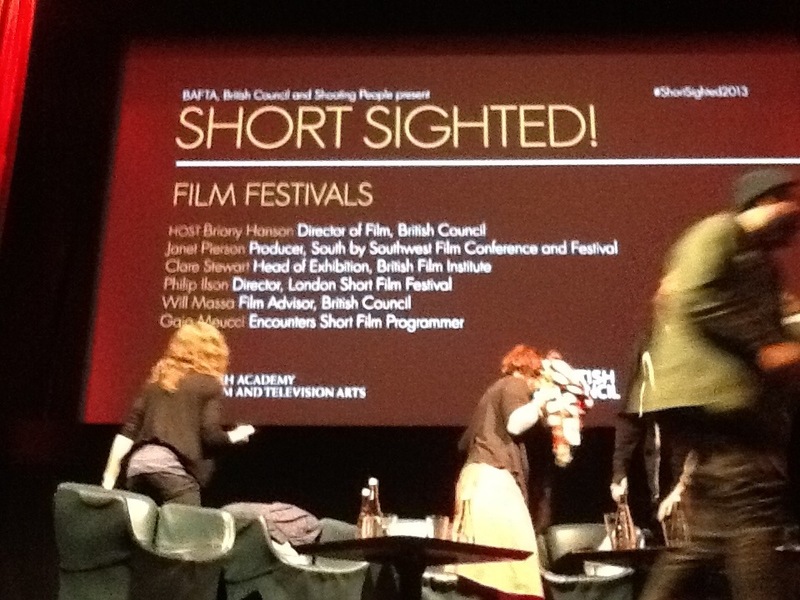 One of the main points that I took away is that I, as a short film makers, need to be watching more short films. Also, as an independent filmmaker, need to be watching more independents. As filmmakers, we need to be supporting the industry, and we need to be researching and seeing what else it out there. I’m watching a lot more shorts on vimeo and short of the week, and I recommend you all do too.